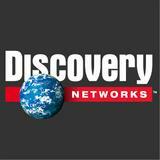 Discovery Networks has entered into an alliance with Spanish DTT channel Veo Television, owned by Unidad Editorial, to launch a FTA DTT channel in January 2012. The new channel will broadcast documentaries and non-fiction series from the Discovery’s library along with current affairs programmes and talk shows made by Unidad Editorial, among them a political debate called Con el Mundo a Cuestas. Until January, Veo TV, on channel 69, will be broadcasting a few hours a day. The channel has been broadcasting teleshopping programmes over the last months following the reshuffle of the channel as a result of the advertising crisis which ended with the firing of its whole staff. Antonio Fernandez-Galiano, president of Veo TV, has underlined “the importance of the agreement to develop in the Spanish market an innovative project that puts together the successful Discovery’s formula with the news editorial strength of Unidad Editorial”. For Marinella Soldi, General Director of Discovery for the South of Europe, the agreement “means a step forward in our TV business in Spain and opens new opportunities to increase our investment in the Spanish market and extend our distribution to almost 100 per cent of Spanish homes”.